VR headsets are in head to head competition. 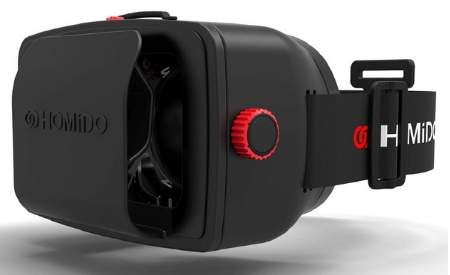 We review some of the best virtual reality hardware which falls under $80. Update March 2017: Homido V2 VR now dropped below $69 from its original price of $89. With Number of VR apps for Android OS are rising at much faster rate, we've decided to put together a buyer's guide to 10 best budget VR headsets. 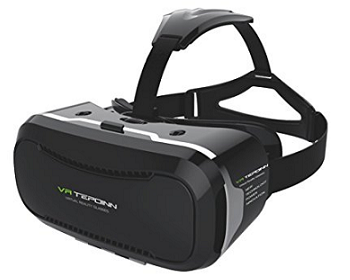 However, don't expect too much from these headsets as they stand just as an attachment to the basic smartphone device to provide you a glimpse of what a fully tethered standalone vr hardware such as HTC Vive or Oculus Rift can do. 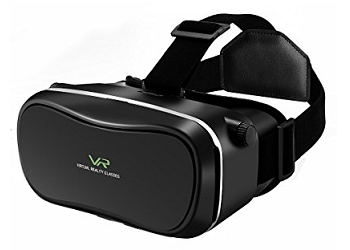 Surely you have an option to choose from the tons of vr apps, vr games, and videos to look for and also these VR headsets are much suitable for viewing a wider range of 3D 360 movies found on YouTube. Reviewed below the best budget options, featuring the likes of Samsung, Google Cardboard, View-Master, Fiit VR, Bobo, Freely, Merge, Homido VR, Habor, IncrediSonic, Pasonomi and Tepoinn. Note: You might like to see our full review on "Some of the best high-end, completely standalone VR headsets out there". 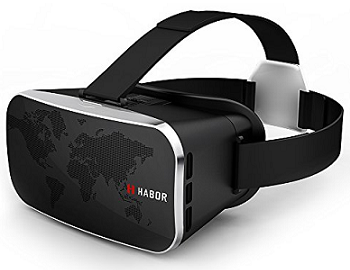 Display Supported: 4" - 5.7"
We have already reviewed Homido VR headset in full VR headsets review earlier, and are much suitable and quite completely immersive with the larger face plate and can occupy most of the bigger smartphones such as iPhone 6 and OnePlus One. 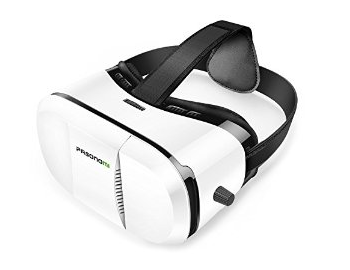 The Homido VR headset currently retails at just below $30 in US market and offers adjustable lenses and great 100-degree FoV. It also boasts three alternate settings for those with glasses including far, near a normal sighted. 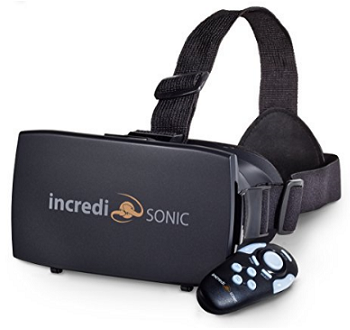 Its perfect head straps and foam outlined all inside areas makes it much comfortable for enjoying hands-free VR apps and even in long play sessions. Display Supported: 4.5" - 6"
Comes with the 100 degrees plus FoV including Carrying case and branded cleaning cloth in additional accessories. Homido however recently found under stiff competition with the Chinese imports which slowed down their headphones sales. Still, both, original prototype and this improved one are highly recommended to buy in 2017 in terms of promising performance. Homido V2 is bigger and can fit with latest bigger phablets such as iPhone 7 Plus and Pixel XL. It looks pretty expensive now and so also comes with its own carry case and cleaning cloth. Major changes are its internal hardware. The new lenses provide wider FoV and minimal blurring. You can adjust both the focal lengths as well as a distance between two pupils. It also has capacitive action button and perhaps the most immersive VR device in the current market. Even its expensive, what you get back is its impressive performance and superior build quality. 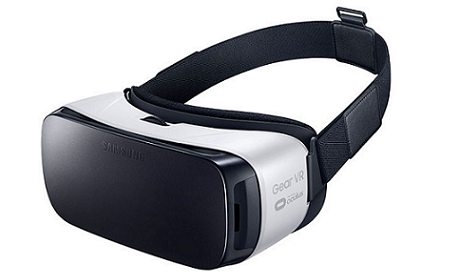 At the initial launch, Samsung Gear VR was priced well above $65 threshold at $100. When its upgraded version arrived, pretty obviously the original price have dropped and you can get it around $50 on stores. Designed to suit most of the latest Samsung devices (with AMOLED displays with 2560x1440 resolution) it is one of the best selling stuff. 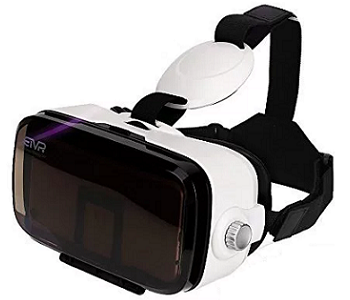 So it gives a better stereoscopic view than most of the other VR devices reviewed here. This makes images to look sharper and crispier. Another major difference when compared to most of the others is its onboard sensors including accelerometer, gyroscope and proximity sensors to supplement those of smartphones. So, if you already have a Samsung smartphone and want a VR experience, this is a perfect time to look for this one. Even more fun with upcoming Samsung Galaxy S8 smartphone. Display Supported: 4.7" - 6.1"
Buy Factor: The faux leather padding! Its faux leather padding is the USP of this product. The bundled GLIDE Bluetooth controller is slicker than most others and also come with mini-joystick including control pads. But again, this device is ineffective for Apple's iOS 9.2 updates on iPhones. In nutshell, its a quality product with many comfortable fittings and good for long hours, however, some nausea is seen. see full review. Display Supported: 4" - 6.5"
Even at this competitive price tag, Fiit has received hundreds of excellent reviews from all over the globe. Why? 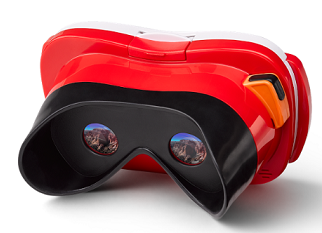 Fiit presents itself as the advanced version of Google cardboard compatible vr headsets. It has a latch mechanism for easy day-to-day use. It also promises up to 102 Degree FoV, which we have not confirmed yet, however, will see it more while in action soon easily comparable with most of the others in line. Similar to Merge, Fiit is AR ready. Yes, it is ready to play increasing Augmented reality apps from its translucent front panel. There is no button control, but most of the Amazon deals comes with Bluetooth controller. It's worth at this price range. 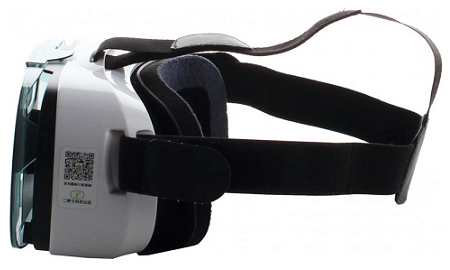 Display Supported: 4" - 7"
One of the impressive set of VR headsets we reviewed recently. 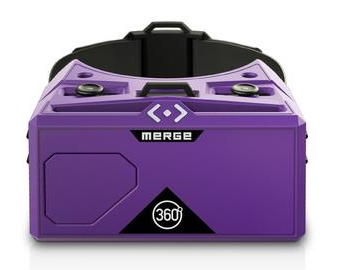 Made from lightweight and flexible foam, Merge Vr promises on features and its superior build quality. You will just need to slide your device from its slot at a front and can accommodate any recent smartphone device. It has two sliding buttons on top which manages its user controls and dual lens settings. Its touch friendly pushable buttons offer widgets control but they are hardly impressive. Undoubtedly the great option without breaking the bank. Display Supported: 4" - 6"
It can occupy the smartphones ranging between 4" to 6". It's groovy piano style color scheme make it stand out in a crowd. With superior build quality and yet much lightweight (just 297g) it nicely creates a sense of style. It is bundled with a Bluetooth controller and its non-magnetic clasp shuts firmly making it easier to operate. Although the image output was not so impressive, its individually adjustable lenses are of much help. Neither they are cheap nor the best in terms of performance but looking at this price point, they might get some special attention. Suitable for screen sizes ranging from 4.7" up to 6" meaning, iPhone 6S can be comfortably used and if its a smaller device, you will need to slot in the included widget. Pack contains Bluetooth remote (android only), batteries, 2 spare nose pads and microfiber cloth. Even at its 400g weight, you can nicely use it for long hours. One of the best value VR headsets we tested. It's an upgraded version of its previous original classic design but with similar outer built. Its superior mock leather padding and blue tinted lenses make it be usable for longer hours causing lesser eye fatigue. Its twin axis control settings make it easier to adjust the visual focus any time needed. Only the absence of action buttons or bundled Bluetooth controllers made us feel little annoyed for putting some additional cost. 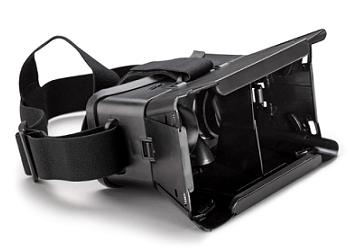 Display Supported: 4.7" - 6"
Its removable front magnetized panel can switch this device from VR to AR easily. A faux leather lined head strap feels much better. Its focus lens settings are pretty impressive similar to many others but due to the lack of proper venting heating is a major problem. Other than this, overall image output and colors we saw were pretty balanced and thus well recommended for short vr fun. It has superb dual axis lens adjustment and a random Tepoinn branded stylus is included in the box. 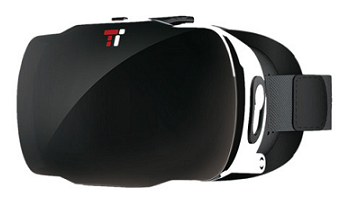 The good thing about Tepoinn vr headset is its dual axis focal lens adjustment which is quite comfortable to the user. Devices up to 5.5 Inch can nicely fit into it and so any plus size is no for sure. Looking at performance, it's pretty impressive, again it's heavily discounted on Amazon and surely is an excellent value for money. Archos VR glasses are the cheapest among most of other brands (excluding Google's DIY) and support up to any 6 Inch smartphone. Looking at its $25 price range, its a great deal for both Android and iOS smartphone users. Just to note that there are no input buttons on the side of the gadget but overall it's a solidly built headset. It's a nostalgia blow-out while working with View-Master Virtual reality starter package. It's slightly upgraded over its previous year's model. Even though it does not have adjustable lenses but the overall viewing experience is pretty exciting. Major issues are the costlier software packs, though they are well preferred and have limited long-term appeal. You can still use View-Master with all of those Cardboard compatible apps on the App store and Google Play. It's thoroughly the winning combination of children and youngsters and its lack of head strap means it is better for short term fun. 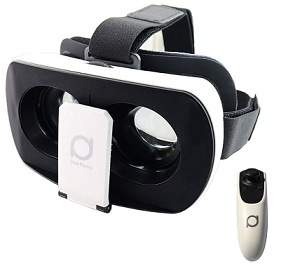 As it appears, Bobo VR Z4 comes with an attached speakers and can be used to hear the VR sound directly from your smartphone. Although these additional accessories help the headset stand higher in the race, its weight around 748g feels slightly heavy. Bobo allows a focal adjustment for both lenses and also come with Google Cardboard QR code which creates acceptable clarity with wider FoV. Like Merge VR, Bobo has a capacitive ok button and surely better than a non-functional Bluetooth controller. Looking at its price tag, Bobo sounds pretty stunning option and worth considering. 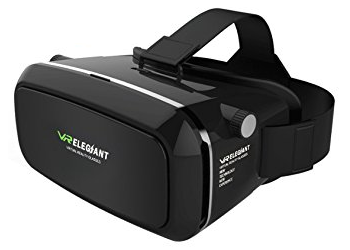 One of the best alternative to similar looking high-end VR headset. Surprisingly lightweight and comfortable to use. Comes with lens focusing settings to adjust image at any time. Some well-placed vents and perforated face padding are enough to keep the gadget cool all the time. Headset also comes with a decent pair of wire earbuds and keyring size Bluetooth gamepad. Pretty well overall performance. Display Supported: 4.5" - 6.2"
With some of the great unique settings on the headset makes it stand out in a crowd. Its padded cap on the top strap increases the comfort levels and a pair of horizontal guides inside the device allows you to set it up easily. Lens focusing controls are amazing and there is also a superb venting for keeping headset cool all the time. Overall ETVR has great built and picture quality and stands high in cheap alternative headsets. 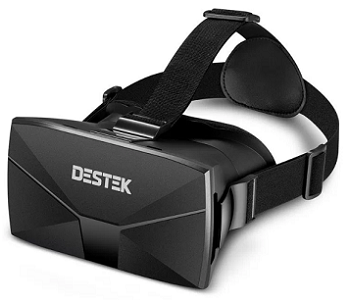 Wait, Destek even supports Augmented Reality. It's magnetized panel pulls away to expose the smartphone's camera easily transitioning from VR to AR. It also provides controls for adjusting lens focus to ensure blur-free output and works smoothly with little to no distortion. It also comes with a gamepad which can fit on a keychain, and its rubberized controls work pretty well while on the go. Display Supported: 4" - 5.5"
One of the smaller and lighter headsets we tested recently but being the small sized head is its major issue. 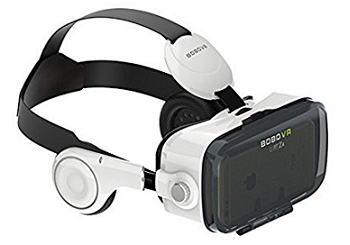 This is the only headset which features the Google Cardboard magnet 'button' allowing a user to interact with apps without a need for a controller. Again it has an individual lens focus adjustments settings which make the experience more perfect, however, some distortion and poor colors were seen during a test. 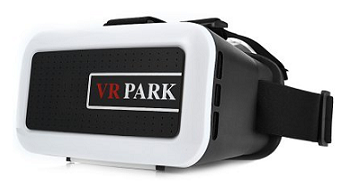 VR park has unique clamp mechanism which holds your device intact at its place. Although it's overhead straps are a unique design, may be some issue for smaller heads causing imbalance. With superior focus lens adjustment settings, one can ensure blur-free output and still little difficult to access while on the head. Overall image quality is superb without noticeable defects and hence pretty well-recommended option. One of the best tested and highly recommended options for VR headsets. Great venting and perforated face padding make this device stay cool all the time during a performance. Focus adjustment for the lens are simple and works nicely. It also has a removable magnetic front panel allowing a user to enjoy some AR fun as well. 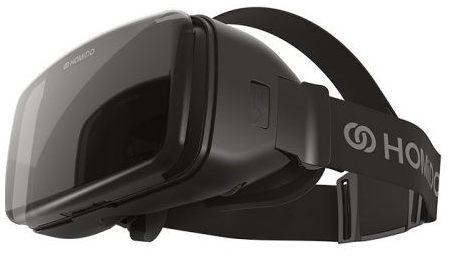 Although images are sharper and crystal clear, we saw some VR games look little bit zoomed compared to other in a race but, overall image quality is superb and its elaborate head strap is some of the great advantages of this headset. If you are new in VR market and want to put some attention to its innovation, Google Cardboard is worth mentioning here as it is one of the first initiatives from Google in Virtual reality concept. Although Google Cardboard can't offer the comfort or the perfection as found in other premium headsets, you can surely have a VR taste at this fraction of the price. You will need to assemble Cardboard yourself and will take around 10 mins. 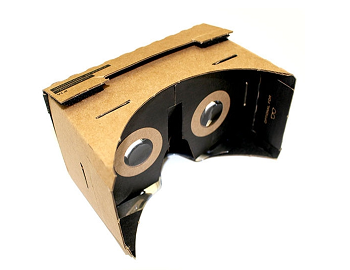 Easy, though, both Google Cardboard and DoDocase feature a latch mechanism on the side which makes things attached with a simple circular magnet. Buy Factor: A great Chinese Product, Value for money. Again a great VR product from Chinese manufacturers. Deepoon VR headset is really comparable to the mid range American and European vr headsets. 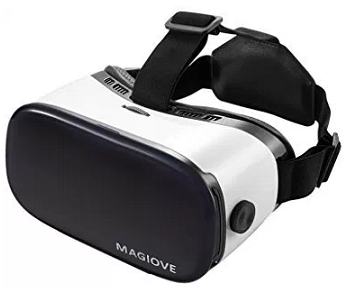 It uses 35mm lenses which are also found in Merge VR headset providing clear FoV and suitable for most of the latest smartphones ranging from 4.7 - 6 Inches. 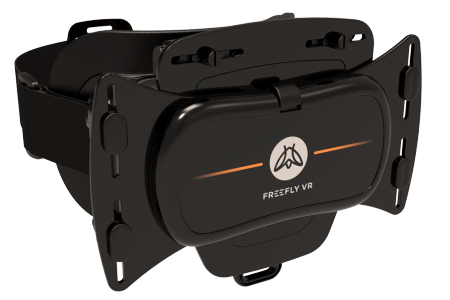 At the lowest price tag of $35, you get a damnn good vr product which can be directly compared to Freefly VR and Homido Vr. Some of the cool specs include its 35mm lenses, adjustable 3 way head strap, independent IPD adjustment, lens distance adjustment, ventilation foam and replaceable facial protection. Its a great value for money product. The only negative point in this headset is a lack of buttons for screen access.